I just heard that Sharia Law has been accepted and approved in Irving, Texas. I am sure that some people won’t bat an eye and will wonder what that has to do with us. They mistakenly believe that this won’t affect us–that this law is just for the Muslims who live here. Does anyone know what Sharia Law is and the punishments that are handed out and for what? Has it escaped anyone’s mind that this is just the beginning of something that has far-reaching consequences? Remember Jesus? The Jews couldn’t put anyone to death, so they demanded the Romans do it? I believe we are going to see this in reverse. I think the Muslims are going to want to put us to death and are going to use their law in our country against us. If you haven’t thought of this and are even thinking this is laughable, I have a good idea how it’s going to happen now that Sharia Law has a foothold in our country, particularly in a State (Texas) that is known for its passionate patriotism. Muslims have convinced Americans that they just want this law for themselves, and maybe they do, but their more fundamental “cousins” (aka the Muslim Brotherhood, Isis, whom we call terrorists) will see this as their golden opportunity. First, they infiltrate our legal system. They start becoming active in local and state politics (they already hold some major federal offices). We are going to elect them. And before you say that won’t happen, remember, we elected Obama. (I’m using the general we–I certainly didn’t want him to be President either term). They are patiently waiting for their opportunity and with this new announcement from Texas, opportunity is knocking. 22 But what if God, willing to demonstrate his wrath and to make known his power, has endured with much patience the objects of wrath prepared for destruction? 23 And what if he is willing to make known the wealth of his glory on the objects of mercy that he has prepared beforehand for glory— 24 even us, whom he has called, not only from the Jews but also from the Gentiles? God tells us 365 times in the Scripture not to be afraid. Jesus overcame the world when He died on the cross and was resurrected for our salvation. Now is the time for Christians to pray like never before. Our Nation and our world need a revival–a personal revival that happens in each one of us–those of us who have taken our religious liberty for granted–those of us who have sat by and done nothing while the world falls apart because we want someone else to do it–those of us more concerned for our salvation and that of our family. We all need to wake up to what’s happening around us. Christians, particularly American Christians, need an Awakening. We need to view what’s going on in our world through the lens of eternity. God has a purpose for every individual. That purpose is for His Kingdom not ours. In a meeting a few weeks ago, we were asked what biblical character we identified with and why. At first, I didn’t know why Mrs. Noah popped into my head, but I came to realize that she and I have a lot in common. Mrs. Noah was married to a man with a plan. A plan to build an ark to save the world (or at least the world God chose to be saved–8 people and two of each kind of animal). I’m married to a man who found a house that needed A LOT of tender loving care and pursued it with a passion. Me, not so much. Although I appreciated the time and effort and the overwhelming perfectionism (well, not that so much) that my husband put into it, I didn’t understand why this house was so important to him. I prayed every day that the purpose of this house would be revealed (I’m still praying). I don’t think we’ve got all feet in the ark yet. Mrs. Noah had children. Although they got on the boat, I don’t think they were all aboard with their dad’s mission. I have children. One, very excited about the house and having a new spacious, pink and red room. The other, who lived in denial until the last minute when she had to pack her stuff or leave it behind. Mrs. Noah’s children probably grudgingly helped their dad with the hammering and the sawing and the decorating and the moving in. Mrs. Noah had feelings, dreams and desires just like her husband, but we don’t know what they were. We don’t know if she was so in love with Noah that she followed along voluntarily or if she was so tired of his shenanigans that she just blindly accepted it and prayed for it to be over. Life has thrown some curve balls. I haven’t been asked to build an ark or warn people of impending disaster. God has blessed me with reasonably good health and a loving and supportive family. God has blessed me with a good job in a good place. Just last week as I was praying about the many things I am dealing with (some of them life’s curve balls), I handed everything and everyone I cared about over to God and told Him to deal with it. I just couldn’t handle it any longer. I wish I could tell you it was a big relief. Instead, I received another curve ball. My 23-year-old is pregnant. It still hasn’t sunk in. All of the emotions. I can’t even explain it. You don’t hear much mention of Mrs. Noah, but it wasn’t her story. It wasn’t really Noah’s story. It was God’s. God had a plan. He used Noah and his family to accomplish that plan. He gave Noah a task to perform, and Noah was obedient. He didn’t ask questions. He didn’t complain. He didn’t ask why. He just built an ark. He rounded up the animals two-by-two. He talked his wife, three sons and daughters-in-law into coming with him. He listened to his neighbors and possibly his friends taunt and ridicule him every day for 120 years. But then the flood came, and God saved Noah and his family. Noah was a man who followed God’s heart. I want to be a woman who follows God’s heart. That means accepting life’s curve balls with hope, grace and mercy. That may look different to everyone. I’m going to follow God. It won’t please everyone, but that’s not my concern right now. And, in case you missed it, I’m going to be a grandmother. As I drove through West Point on my way to a church retreat on Friday, Mandisa’s “Just Cry” began to play. My first thought was of you. I knew then that you had left us. Yet I refused to acknowledge it. I would have heard. This morning as I watched the sunrise a strange peace filled the air, and I knew that you were experiencing your first Sunday with Jesus. It brings tears to my eyes. I have such mixed emotions. I never saw you when you weren’t smiling. I never spoke to you when you had a bad word to say about anyone. You always found something positive about a situation and when you couldn’t, you chose prayer. When I was struggling, you were there to lend an ear and offer encouragement and prayer. When I moved away, we lost touch but found each other on Facebook. When I found out you were struggling, I found a way to repay you for all the times you were there for me. My prayers reached out and touched the heavens. I know because God showed me marvelous things He had in store for you. Even though you had every right to be angry, discouraged and negative, you found a way to trust God through it all. You are a hero to all of us who watched you, who prayed for you, who wanted for you what you were afraid to want for yourself. Even though we had hoped God would save you for this world, He found it necessary to lead you into His kingdom. Though we mourn our loss, we rejoice in your gain. You now have the answer to the questions we all want answers to: What is heaven like? What is it like to have your tears wiped away by the One who created you? What is your new home like? Can you possibly contain your joy at meeting Jesus face to face? What does true worship look like? Earth is a little different now. You truly made the world a better place. I will never forget your brave spirit, your faithfulness, your love for others. Thank you. My year of looking at the world through God’s point of view gave me a different perspective. God showed me areas in my heart that needed dusting, cleaned up and some things that needed to be “surgically” removed. In response to the things God showed me in 2014, I have chosen “Passion” and “Transformation” as my theme for 2015. Transformation means “the act or process of transforming or the state of being transformed (to change in condition, nature or character)”. It is also known as renewal or metamorphosis. Ezekiel 36:26-27 reads: 26 I will give you a new heart and put a new spirit in you; I will remove from you your heart of stone and give you a heart of flesh. 27 And I will put my Spirit in you and move you to follow my decrees and be careful to keep my laws. When we have passion for God, our lives and hearts will be transformed. Romans 12:2 Do not conform to the pattern of this world, but be transformed by the renewing of your mind. Then you will be able to test and approve what God’s will is—his good, pleasing and perfect will. The process for the next twelve months will be difficult and painful. It may be a struggle. I will periodically share what I am reading and learning this year. I encourage you to choose a Bible reading plan that fits your schedule. I also encourage you to set aside time daily to spend in conversation with God. The more time we spend in His presence the more like Him we become and the more we will fit into His Kingdom. God tells us in His Word that we do not know the day or the hour of Jesus’ return. Start today getting prepared for His coming. Each day the time draws closer. My focus for 2014 was perspective, primarily seeing the world from God’s point of view. I wanted to look at my life and the world around me through the eyes of God. This year was a rough year for the world. Gay marriage took the forefront on the news with many Christian businesses and pastors taking a hit both financially and personally. There was more terrorism, more evil and less God. We’ve seen religious leaders fall and watched politicians use religion for their own purposes. Christians have made observations and statements relative to how we should react and we’ve pretended to know the mind of God. But are we really seeing the world from God’s perspective or are our opinions skewed because of how we’ve been treated by the world? There was a time when I would have thought the views being spouted by many Christian leaders and pastors were right on target with the mind of God; however, this year forced me to look at the world differently. In verses 11-12 we are told that we are temporary residents and foreigners on earth which means we are visitors. The world is not our home. Heaven is. In verse 1, we are told to rid ourselves of “all malice and all deceit, hypocrisy, envy, and slander of every kind.” We are to live properly among unbelievers so they will see our honorable behavior. When we are a guest in someone’s home, we don’t tell them how to live their lives or condemn them for every sin we perceive in their lives. We model righteous behavior and shine Christ’s light into their lives,. Our actions may lead them to hate us, deride us or persecute us, but none of these give us freedom to retaliate against them using hateful words, condemnation or judgment. God alone has the authority to judge and condemn. We have, for a long time, lived like the Earth was ours. We have chosen to berate those who lived less than stellar lives. We have condemned people who have made immoral choices. We have fallen prey to the enemy. What if we stopped looking at people (both Believers and unbelievers) as sinners and started seeing them as God’s creation? What if, instead of casting stones and condemnation, we demonstrate love and mercy. God loves all people and doesn’t want anyone to die separated from Him. He is patient, long-suffering and merciful. Should we be any less? Paul risked his life for a message that offended the Jews and was unbelievable to the Gentiles. Jesus’ message received the same response. To the world, the message of a Savior willing to pay the ultimate price to save us from a life of eternal damnation is insane. To some, the thought of submitting our lives to God, a deity we cannot see, is ludicrous. But as we follow Jesus, we discover that what the world offers can’t compete with our eternal reward. Are we willing to appear insane in order to share God’s love with someone else even if that person rejects us? NOTE: I am following the Chronological Timeline from ewordtoday.com. 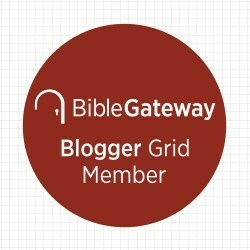 Bible Gateway has an online reading plan if you would rather have an online version.